So far, so good. Yes, there was a historical David which is depicted in a particular theological light in the Old Testament. And yes, it does seem interesting to peel back the narrative to see the historical David as he was. But now the problems begin. Baden highlights that “the Bible is a product of human minds, and that, like all literature, it is subject to the biases and agendas, both conscious and unconscious, of the authors.”2 And yes, again he is right but he fails to recognize as he delves into the “historical David” how much his own biases and agendas, conscious and unconscious, make speculative decision of what is historically credible and what is theological spin to create a picture of the historical David. Case in point, because the Spirit of Yahweh is “a historically unverifiable indicator,” Baden argues that it must be a “literary construction” which seeks to paint David in a positive light.3 Thus, Baden is most skeptical of the truthfulness of a narrative when Yahweh is present. Supernatural events cannot be history, they must be literary features. Historically verifiable data is inherently secular, according to Baden’s methodology. Baden goes on to undercut the historical credibility of the annointing of David by Samuel in 1 Samuel 16:1-13 because it was done in secrecy. The lack of publicness makes the narrative itself historically suspicious. Prior to his reading of the David narrative, Baden has made a decision about what is deemed historical: two of the elements that arouse much suspicion are the presence of Yahweh and private acts that are not publicly verifiable. Does Baden not see his own agenda and the broader historical-critical agenda which is directing his reading? The implications of the kinds of suspicions aroused by Baden are profound. The most staggering of all of them is that by the same reasoning the person of Jesus—once filtered through Baden’s historically verifiable filter—is merely a moral teacher at best or a heretical rabbi at worst who died…and, well, died. Yahweh has no place in this historical reconstruction. The supernatural is itself suspicious. And the resurrected Christ appeared only in the private company of the woman at the tomb, the mourning disciples and on a road to Damascus. And yet, we Christian’s claim the historical reality of our risen Lord. 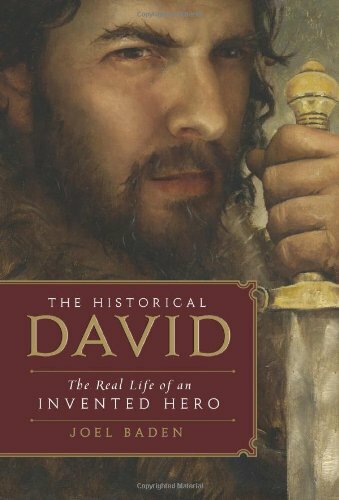 What I hope to critique here is not so much Baden’s reading of David’s life found in the Old Testament, but rather how a Christian interacts with his kind of claims as to what is historical. Maybe the broader point and the best one to make here is that we all approach texts with certain ideas of what is credible in the realm of history. The danger comes when in our quickness to recognize the bias of others, we fail to see that we also are included in the human condition. That is not to say that we cannot arrive at historically true claims through our reading of an ancient text like the Old Testament. Instead, it is to say that we should not be fooled into believing that through the use of some seemingly objective and sterile methodology that we can escape our very locatedness as readers, thinkers and speculators. No interpretive tool is without an encasing ideology. Use with caution! 1 Joel Baden, The Historical David: The Real Life of an Invented Hero (NY: HarperOne, 2013), 10. 3 Baden, Historical David, 36. Studying theology, baking bread, enjoying the company of a handsome bearded man and two adorable pit puppies.